Lana Clarkson was an American film actress and top model. On 5 February 2003 she was found dead of a bullet fired into the mouth at the home of producer Phil Spector. Born in Long Beach, California on 5 April 1962, in 1982 she began a career as an actress. 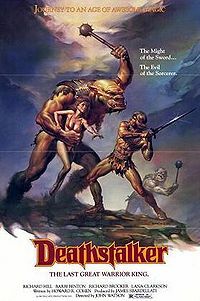 Barbarian Queen (1985). Inspired the character of Xena. Amazon women of the moon (1987). She was cast in many films of B series or television. After thirty his career stopped. Born on 26 September 1940, he was 63 years old at the time of the case. Phil Spector was born into a Jewish family named Spektor, who left Russia to settle in the Bronx where he was born. His father committed suicide when he was nine years. In 1974, he has a serious car accident and lives then removed. It returned on the scene before 1980 and works with Bob Dylan and other singers. Then he remains inactive until 2003 when his plans are stopped following the murder. Castle, the cottage of Spector. head had been moved after her death. Lana Clarkson rests in a Colombarium based at the Hollywood Forever Cemetery. Spector is defended by a lawyer of O.J. Simpson. This lawyer, Robert Shapiro, let it released against a deposit of $1 million. Thereafter, Spector makes him a trial to recover $1 million kept for his defense. Convicted of second degree murder, Phil Spector was sentenced on May 29, 2009 to 19 years to life and is serving his sentence in the State Prison in Corcoran, California. We see that the reality meets fiction.